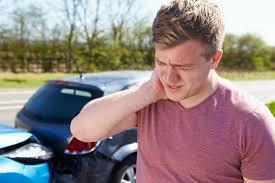 Even a minor car accident which doesn’t seem to cause immediate injury can result in whiplash. Imagine that you’ve stopped at an intersection. You suddenly hear the crunch of metal and the screeching of tires, and you’re being pushed into the intersection itself. This is a common experience as described by anyone who has ever been rear ended. Being rear ended can cause your head to move rapidly, or “whip” in a certain direction, and then bounce backwards off of the seat. This, of course, can cause injuries ranging from minor to severe. You might not even experience any discomfort for several days after the accident. One of the smartest things to do after having been in an auto accident is to visit a chiropractic professional for an examination whether you’re experiencing pain or not. The longer you delay this preventative measure, the more likely it is that the unseen damage from your accident will have time to accrue. By being examined and having treatments if necessary, you can prevent further discomfort or even potentially long lasting injuries. I’m experiencing pain in my extremities, but they weren’t injured. Why? Your back might have been injured. Since the nerves of the back extend throughout the body, you may be experiencing pain in other areas of the body. The arms and hands are very commonly affected from this. I began having headaches over a week after my car accident. Why? Why do seemingly small accidents cause such severe damage to the spine? Your body will adapt to its environment and things that have happened to it. So whether you’ve been in a car accident or you’re experiencing stress in the workplace, you’ll adjust—but the body can only adjust so much. Problems such as headaches may appear days or weeks after an accident. Is it possible to prevent injuries from whiplash? Auto accidents are the most common cause of whiplash. The best way to prevent these kinds of issues before they happen is with defensive driving. Always attempt to drive as safely as possible.